The Cadia Engine House is of national significance, not only because the buildings have partially survived, along with the chimney and some of the engine parts, but also because the mine site has not been heavily worked since the late 1860s, preserving the main elements of all the above ground workings. 1. It is the only engine house in New South Wales. 2. 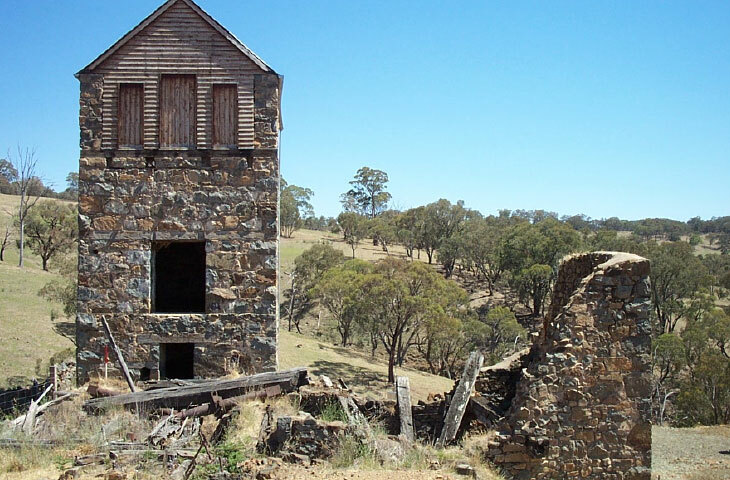 “No parts of any other beam engine used on an Australian mining site are known to exist”. 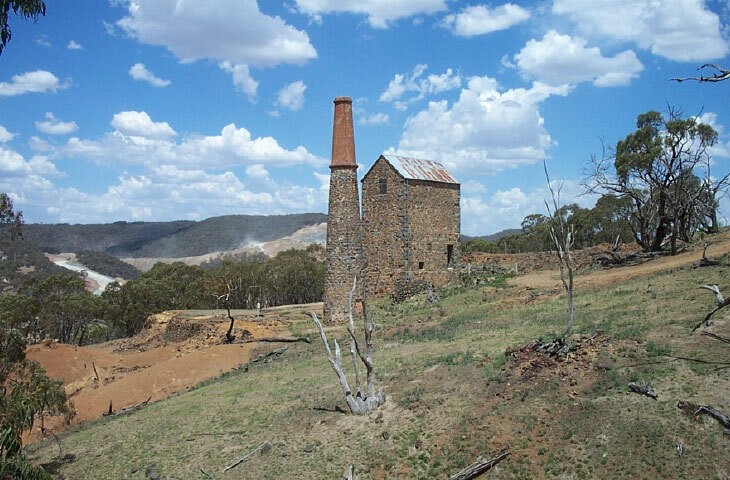 In order to preserve the historical significance of the Cadia Engine House, Newcrest Mining, in conjunction with the NSW Heritage Office, restored the Engine House and Chimney in 1994. 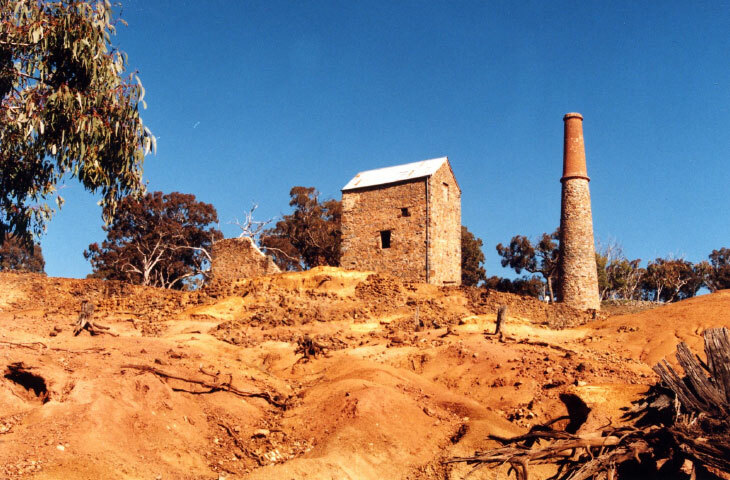 The Engine House, Chimney and surrounding area are listed on the NSW State Heritage Register. The Engine House crushing room and chimney are protected by metal bracing to prevent any damage due to mine blasting or deterioration. Blast monitors are located at the site to ensure mine blasts do not exceed the limits set by state government. 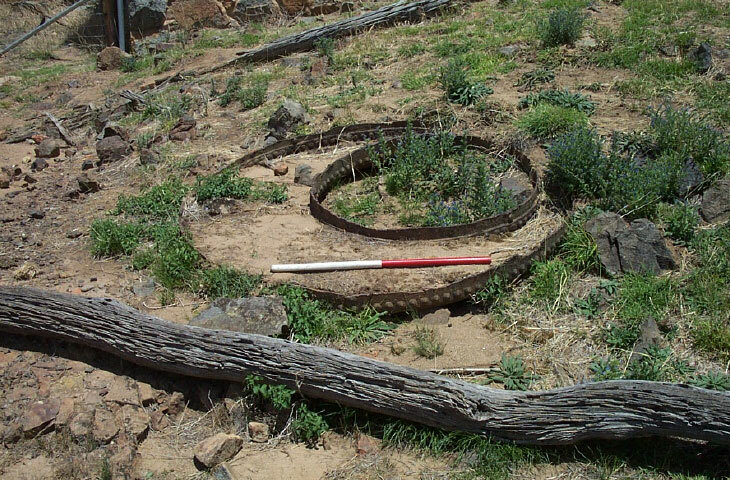 The section of the Cornish boiler that had been used as a culvert under Old Cadia Road was returned to an area near the Engine House in December 2002. 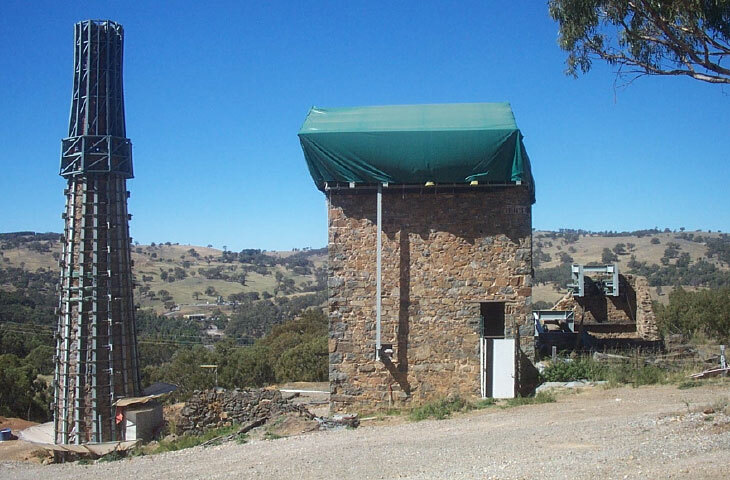 The roof of the Engine House was removed by Newcrest Mining to enable the strengthening work to take place on the Engine House. The roof was constructed by Newcrest in the 1990s as part of a restoration project in the area. When the strengthening work is removed, the roof will be installed on the Engine House. Between 1989 and 1996 the Cadia Engine house was re-roofed and the walls of the buildings and chimney conserved ((scale 1 metre) (Edward Higginbotham, 2003). The end plate of the boiler lay where it was cut off near the Engine House around 1916 (scale 1 metre) (Edward Higginbotham, 2003). The Cadia Engine House in its historical mine setting. On the left is the lower ore processing floor and the waste dumps down the slope (scale 1 metre) (Edward Higginbotham, 2003). Temporary steel frames were erected around the buildings and chimney in 2003-2004 to ensure that the Engine House survived mine blasting nearby. The frames will eventually be removed and the setting returned to its undisturbed appearance (scale 1 metre) (Edward Higginbotham, 2005). 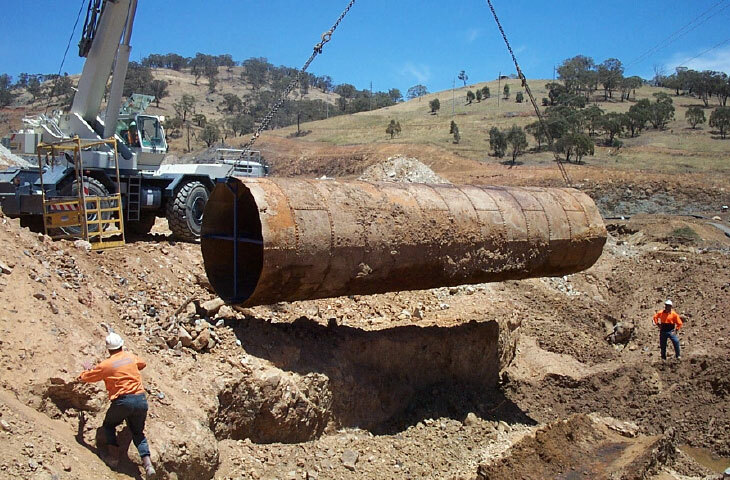 With an internal frame to support its weight, the Cornish Boiler was retrieved from its use as a road culvert carrying Old Cadia Road across Hoares Creek in December 2002. The boiler was returned to the Engine House where it may be used in future conservation works (Edward Higginbotham, 2002). Cadia Engine House, Crusher House and chimney in its mine setting (Edward Higginbotham).